 Would you like to be interviewed for the Balloon Artist Podcast? Hi – my name is Zivi Kivi, CBA, and I am a professional balloon artist from Israel. Ever since I left my job as a Director of Project Management in a high tech company and dedicated my career to making kids happy I felt like I can do more for the community. More for those awesome balloon artists that bring me inspiration in my facebook feed and help me in the jam room. More for my friends, and colleagues and “tribe” members. More for my peeps. Eventually, one thing led to another, as life does, and I was looking for a way to contribute to the profession. I found several ways and would love to share them with you. Knowledge – I share my systems and techniques in my website knowledge page. Here you can learn more about my e-book, my pizza calculator WordPress plugin and even my stickers for magicians. Community – ask to join the Balloon Artists facebook group NOW. Podcast – this podcast is separated into series. Each one includes 12 chapters (like seasons of some TV shows). The first season is all about Money. How to make more of it with balloons. Comment? Questions? Want to be interviewed? shoot me an email at zivi@balloonartistpodcast.com or find me on facebook (Ziv Raviv is my alias). while I am working very hard on providing free amazing content through the podcast, I am also affiliated with content providers and solution providers such as KEA, T&S, Amazon and others and when you decide to buy something through my affiliate links – I get compensated while you don’t pay anything more. If you feel this is unfair know this: I ONLY recommend stuff that I tested myself and that brought my Balloon Business HUGE heaps of value.